I have surprised myself recently. Not even a year ago I had never run more than 4 miles but last October I ran a half marathon and have just signed up to the Royal Parks Half Marathon in October and the London Marathon next year. Jack and I are doing it together and training starts now. We woke up early on Saturday morning, slipped on our gear and took the tube to Green Park. From there we ran through Green Park and St James’s Park before crossing Westminster Bridge, running along the river, over Tower Bridge and up to Shoreditch. Six miles in total. We had brunch at Barrio East booked for 12pm and the thought of delicious Huevos Rancheros kept me going strong throughout the run. We arrived, slightly red faced, hungry and ready for a feast. The bright decor reminded me of my trip to Brazil this time last year and I was happy to hear South American music setting the mood. We were shown to our little booth and given menus. First off I decided to have a thirst quenching juice – watermelon and ginger, sweetened with agave syrup. It was the most refreshing drink I have ever had in a restaurant in the UK and I can’t wait to recreate it at home. We both ordered Huevos Rancheros – me because it’s a gluten free option and Jack because he was scared that he would have food envy if he got something else. 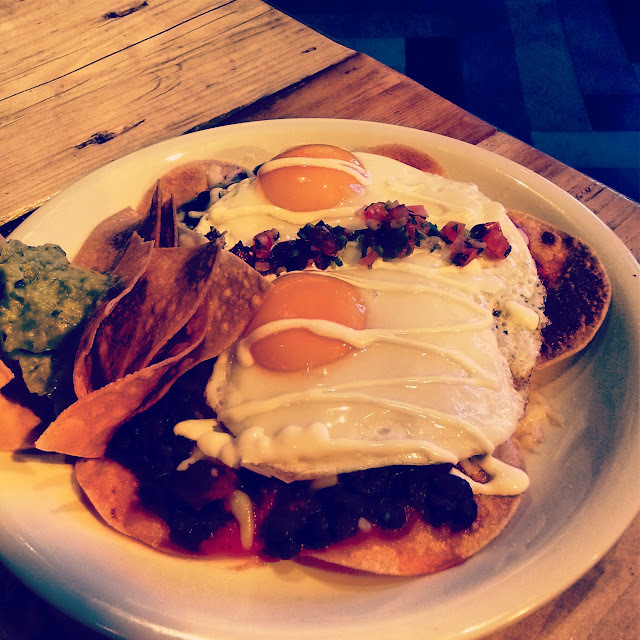 Huevos Rancheros is a great post workout meal – packed with protein – and to top it off it’s utterly delicious. 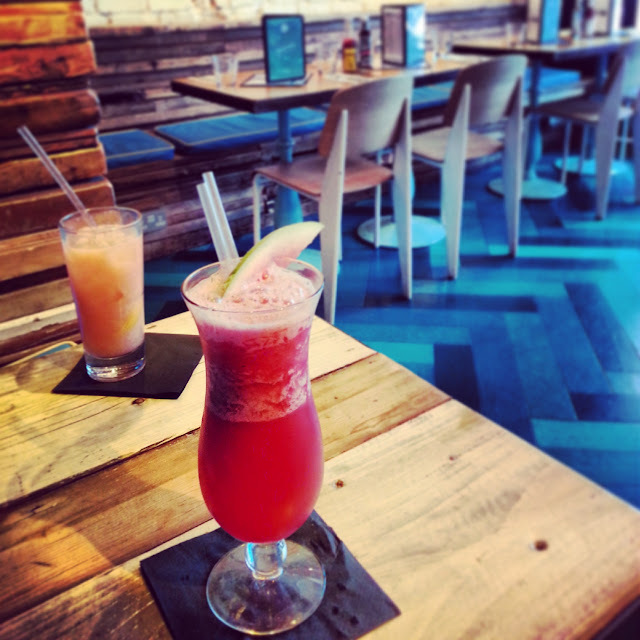 Barrio East didn’t disappoint – excellent food and drink, upbeat surroundings and service with a smile. I can’t wait to go back and try the caipirinhas.